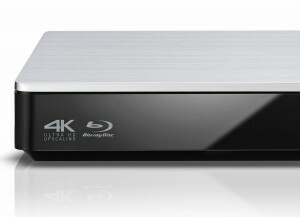 Home » 4K Ultra HD » Ultra HD Blu-ray: What if they threw a format and nobody came? 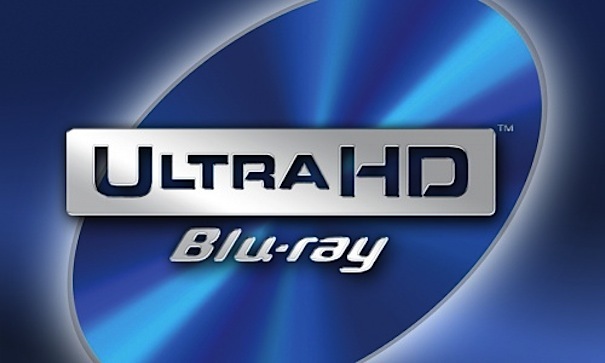 On Monday, August 24th, the Blu-ray Disc Association officially started licensing the Ultra HD Blu-ray spec to consumer electronics manufacturers and content providers. As a home entertainment collector, I should be jumping for joy. The fruition of “lossless picture” to accompany the lossless audio already introduced via Blu-ray should have even casual home theater aficionados happily skipping hither and yon. But a funny thing happened on the way to another packaged media launch. 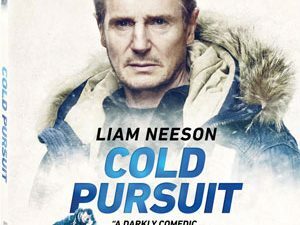 Whether its home entertainment industry pundits, content providers barely willing to go on the record or in-the-know consumers who follow this stuff, ask anyone of them if Ultra HD Blu-ray will be a success – let alone early adopted – and I’m guessing responses will vary from bemused shrugs to cynical prognostications of consumer and/or studio apathy. At first, I started this article firmly in the cynical camp, in case my snarky sub-header didn’t suggest such. However, as I continued to write (and re-write, and re-re-write), I found my arguments against a new format launch were actually having the opposite effect: raising my hopes that the latest technological leap-on-a-disc would succeed. For one thing, Ultra HD Blu-ray more or less culminates the evolution of the home entertainment revolution. From my father purchasing Super 8 silent film reels from Blackhawk Films in the 1970s, to my first VHS recorder in the late 80s, laserdisc in the early 90s, DVD in the late 90s and Blu-ray (ok, I’ll include HD-DVD) in the mid-2000s, 4K Blu-ray finally achieves a holy grail long sought after by home theater fans and filmmakers: a home video medium that wholly matches the image detail of 35mm film. In early 1994, James Cameron was interviewed by Widescreen Review magazine, then a fledging periodical catering to the laserdisc & home theater enthusiast. Discussing both the LD release of The Abyss Extended Edition as well as the inauguration of the THX Laser Disc certification program, Cameron at one point remarked about how, if you translate film into lines resolution, celluloid would roughly register at 4000 lines. He went on to lament how ,despite being the then-pinnacle of home entertainment technology, laserdisc’s 425 lines of resolution was still WAY behind where a video medium should be in faithfully capturing and subsequently presenting the image quality of 35mm film. So here we are, 21 years later, at the moment when Cameron’s observations are about to become an affordable reality. What gives with all the schadenfreude over its launch? Yes, the home entertainment industry and its users have undergone massive changes since the introduction of DVD back in 1997. Pick any influencing factor — technological, economic, sociological, even political – and you’ll find an immense gulf that belies the mere 18 year span separating the two formats. Ultra HD Blu-ray will be a niche format, the laserdisc of the 21st century, catering to an affluent few. All of the above criticisms are valid and logical enough to doom Ultra HD Blu-ray at the gate. And while I’m happy at the prospect of replacing some (ok, many) of the catalog standards of my library in native 4K resolution, my wallet is already starting to break a sweat. I only need HD for movies; don’t care if television programs are broadcast in high definition. I’m happy with (and spent a fortune on) laserdisc; don’t need to buy everything again on DVD. Blu-ray really doesn’t look or sound any different from DVD. Slowly but surely all those arguments faded as each technological advance took hold. This time however, Ultra HD Blu-ray’s stillbirth has almost become a rallying cry within the industry. So maybe only because I’m a root-for-the-underdog kind of guy am I starting to hope that consumers AND content providers (underlining that last one) get behind the new format. I look forward to seeing what’s in store with Ultra HD Blu-ray. Yes, I’m sure the early players will be expensive and even awkward (remember the first HD-DVD player, the bulky HD-A1?). Titles will be scarce at first and doubly hindered by the second guessing of collectors bemoaning “Of all the titles out there, they launch 4K Blu-ray with that?” But the day when I can buy a reasonably priced 4K Blu-ray of “War of the Gargantuas” (with Russ Tamblyn commentary, natch), that’s when I’ll pop open the champagne for a format finally arrived.